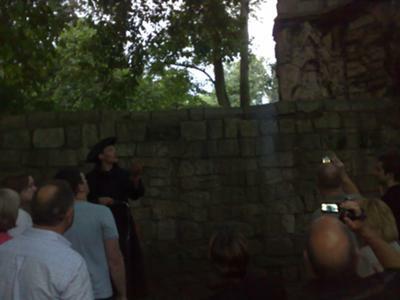 I was on a ghost tour in York and took some pictures, this is one and there seems to be some sort of mist next to him. At the time he was telling us somebody had seen a ghost at this exact place a few nights before. What do you think?? Simply click here to return to Ghost Tours.